OK – so you may or may not know much about pension auto enrolment. Hopefully, if you are an employer you know about it because it will, or may already affect you. In case you don’t here are the basics (but this is not the real story – that comes later). And since it takes a good few months to get everything in place I suggest looking at it 1 year before and NO LESS than 6 months before. So everyone except micro businesses should be looking at which type of plan to do sometime this year. You will need a financial advisor and a HR advisor in place – because …well – trust me you just do. It’s complicated, it’s messy and if you don’t do it right you’ll be in a whole world of pain. Done right – you should be able to make a smooth transition with no upset or accidental law breaking. So here’s where it gets a little more complicated. There are options on this – but broadly by October 2018 – you must ensure every eligible jobholder receives 8% into their pension of which 3% is employer contribution, 1% is effectively government contribution and the rest from the person themselves. Up to 2017 the employer contribution is 1%, 17 – 18 it is 2% and after Oct 18, it is 3%. Also you need to understand the difference between eligible job holders, non eligible job holders and entitled workers. An eligible job holder must be automatically enrolled (unless they genuinely opt out) – and they are over 22 years old and earn over 9440 per year. A non entitled worker earns between 5668 and 9440, and can ask to be enrolled and if they do – the employer has to contribute. An entitled worked is one that earns less than 5668 and may join the scheme but the employer does not have to contribute. Confused? Get your HR consultant in to help – or call us, if you don’t have one. NOW THE REAL STORY……and it is a scary one – so be warned. 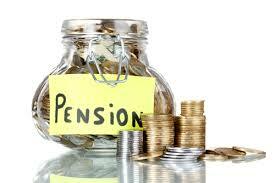 In 1909, the UK government of the day decided to introduce pensions. It was great publicity and very low risk. The pension was introduced for people aged 70 and was a massive 5 shillings a week (approximately £37 a week in today’s money – where the actual pension today is £110 a week). You could only claim it if you had income of less than £31 10 shillings a year (about 3k in today’s money). This was a very low risk strategy as the average life expectancy in 1909 was 48. They weren’t expecting to pay out very much – and indeed less than 600,000 pension were paid out that first year. There were 10 workers for every pensioner. In 1909 the average life expectancy was 48 and now it is 79 for a man and 83 for a woman. There are 3 million people over 80 – never mind pensionable age!! In 1909 the government paid out under 600,000 pensions which was 1.5% of the population. Now about 16% of the population are pensioners. There are more people of retirement age than there are children under 16. This is only going one way. Couple that with the MASSIVE debt this country has and I would be surprised if pensions even exist by the time most of us get there. Last year Hungary (another country with massive debt problems) nationalised all pensions. Our debt is 5x our economy. The only 2 countries which have a higher debt problem than the UK are Japan – whose economy has been stagnant for 20 years, and Ireland – whose housing market crashed by 50% and who has had to accept a bail out. Jim Callaghan (an old labour PM) said in the 70’s that more public spending is not the answer, probably said it just before or after he had to accept a huge bailout from the IMF as Britain was about to go under. This should have been the end of the – spend – borrow – spend philosophy of most governments since. Considering a labour gov was in charge when this happened you would have thought perhaps subsequent labour governments might have taken the hint. But NO. Part of the problem has been the cost of borrowing. In Thatcher’s day t cost the government 15% to borrow money. Now it costs 2%. What do you think has happened? Has the government (or previous government) thought – great – that means we can repay faster? No – they thought – great we will borrow more. If interest rates go up (and they will) we are up a proverbial river without a paddle. In 2009 Greece was borrowing at 1% – then interest rates shot up for them – and we all know what happened. The Weimar republic (which in effect produced the Nazi’s) was in such a mess that they triggered mega inflation – people wheeled wheelbarrows full of money to the shops to buy a loaf of bread. At the trigger point the countries debt was 913% of its economy. Our debt is 900% of our economy. Now – we may not get mega inflation, we may not have a horrific Greece style crash with social unrest and riots (as we did back in the 70’s) and strikes. It may be a slow creeping thing which eats away at us for the next 20 years. But make no mistake – the new pension auto enrolment is not the answer. If you think that is going to keep you in the custom you want to be kept in when you retire – think again. Not happening. My advice – opt out. Put your money where you can get it – after all with a pension you can only get 25% of it as a lump sum and if and your partner die – all that money you have put into it over the years goes to HMRC. Stuff that. Consult an IFA – mine has generated 26% over the last 2 years in money I can access anytime I want or need to. That’s a far far better result than any pension – far more secure – because it is YOURS and you can get it any time, and more importantly – you control it. The light bulb went on when I got my pension statement through last month and it cheerily told me that when I retire I will be getting less monthly than I am contributing monthly. Excellent. Not. I have a final salary pension from another life – and that’s still worth having. But this personal pension that I have been paying into for nearly 20 years – is not worth the paper it’s written on, it’s not worth ¼ of the final salary scheme I paid into for only 10 years, and it’s not worth even the monthly contributions. Time to cut my losses. How about you?